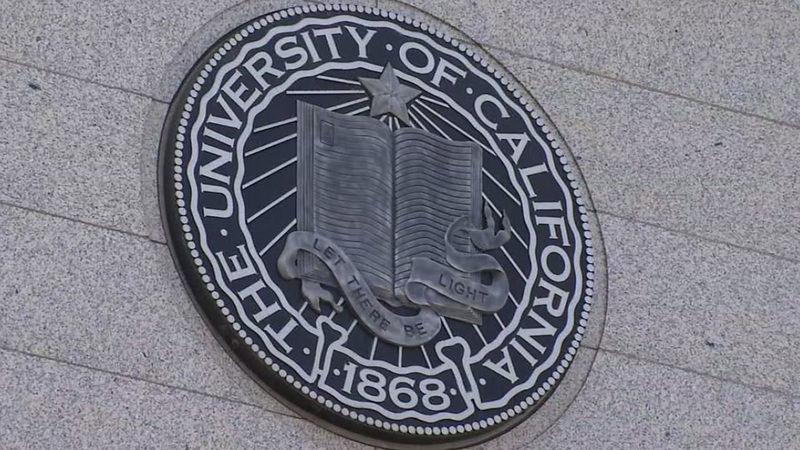 BERKELEY, Calif. -- The University of California Board of Regents has postponed their vote on a proposed tuition increase until May. The proposed hike would be 2.7 percent for in-state students attending one of the ten campuses, which boils down to a $342 a year jump in tuition and student fees. A student's tuition would go up from $12,630 currently to $12,972 for the 2018-2019 academic year. But most students won't be affected because financial aid covers the full tuition bill for 60 percent of students. Families with an income of $100,000 a year or less pay no tuition. Out-of-state students will be hit harder. They will see a 3.5 percent tuition increase which amounts to $978 more a year. That means that they could be paying $28,992 in tuition and student fees. That's not including room and board. The U.C. system says its necessary to increase fees because Governor Jerry Brown has said he will only allow for a 3 percent increase in funding in his proposed state budget. Brown has said U.C. can do more to cut costs. This sentiment was echoed today by a few U.C. Berkeley students protesting the proposed hike. "High administration salaries for example, there are tons of places where the U.C. 's can cut costs. There is no excuse for the state legislature to not fund the U.C. 's more, but it's unfair and it's harmful for students to have their tuition raised yet again," said Matthew Lewis, a member of the Progressive Student Association. If the regents vote to pass the hike in May, it would be the second tuition increase since 2011. Click here for more stories and videos on the University of California.